Islamabad, March 26: Pakistan and Iran have reiterated their resolve to enhance bilateral cooperation in diverse fields, including trade, economy and energy. 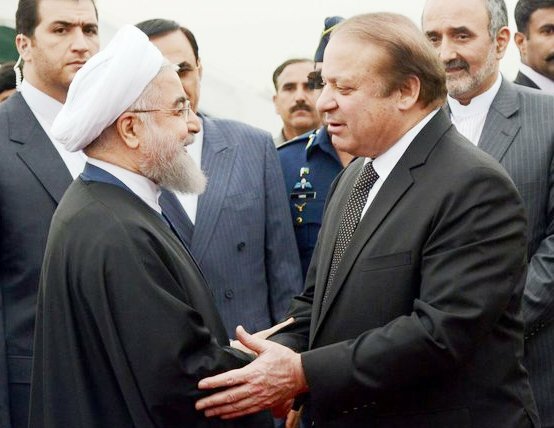 Pakistani Prime Minister Nawaz Sharif and Iranian President Hassan Rouhani made the remarks while talking to media after their wide ranging talks in Islamabad on Friday evening, Radio Pakistan reported. Sharif said that the two countries have decided to open two new border crossing points to encourage trade and economic activities and facilitate people to people contacts. He hoped that the additional crossing points would greatly reduce the travel time and contribute towards economic integration of the region. Sharif also said that the two countries signed several memorandum of understanding in diverse fields which would further enhance our bilateral cooperation including economic and social sectors. Rouhani, on his part, said that both the sides explored the possibility of having closer relationship and better connectivity between Gwadar and Iranian port of Chahbahar.